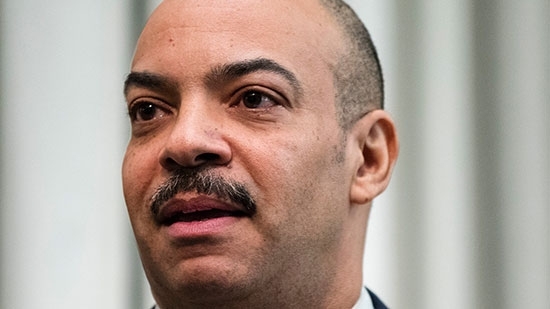 The jury was selected on Monday in the trial of Philadelphia District Attorney Seth Williams. 137 potential jurors from the eastern district of Pennsylvania reported to the federal courthouse in Philadelphia this morning. At the end of the day, 12 jurors were selected, 10 women and 2 men. Williams is facing 29 charges of corruption and bribery. He is accused of taking gifts, vacations, and cash in exchange for political favors. He is also accused of using campaign money for personal expenses and city vehicles for personal trips. Williams was already fined by the Philadelphia Board of Ethics board for failing to disclose those gifts. He is not seeking a third term as DA and has had his law license suspended, but has refused to step down from his position despite many calls to do so. Williams has maintained his innocence. Opening statements are scheduled to start on Tuesday. The trial could last a month. The Philadelphia Federation of Teachers union has ratified a tentative contract agreement. Members met at Temple's Liacouras Center to vote. The result was 4,399 in favor, 213 opposed. Philadelphia public school teachers have been without a contract for four years. The new deal is for three years. The SRC will now have to find a way to pay for the new deal. Mayor Kenney said, "I thank members of the Philadelphia Federation of Teachers for their approval of the contract. I know full well that throughout this long and difficult process, you have remained dedicated to the single most important matter: educating our city's children. While I know this new contract does not make you entirely whole, I am confident that teachers, administrators and families will make greater strides in improving how our children learn and thrive in Philadelphia's public schools. When we invest in our kids, it benefits every Philadelphian." The body of a teenager gone missing while swimming in Atlantic City, NJ, last week was discovered on Monday in Margate. A police officer discovered 16-year-old Kaliyah Hand on the beach at Jefferson Avenue just after 5 a.m. Monday. Last Thursday around 6:15 p.m., Hand of Atlantic City was swimming at MLK beach when a rip current started to pull her out. Her friend, 15-year-old Ramon Quinn of Pleasantville, jumped in to help. Both teens got swept out and pulled under. Rescue crews searched for hours before turning to recovery efforts.